From the small towns of Yachats, Ashland and Bend to the solitude of the coastline, painted hills and Smith River. Visit beautiful Crater Lake National Park, explore the Oregon high desert, learn about volcanic history and relax at the beaches on these varied Oregon tours. Travel Dream West is located in Southern Oregon, and our local team will provide you with an in-depth experience of our beloved state. 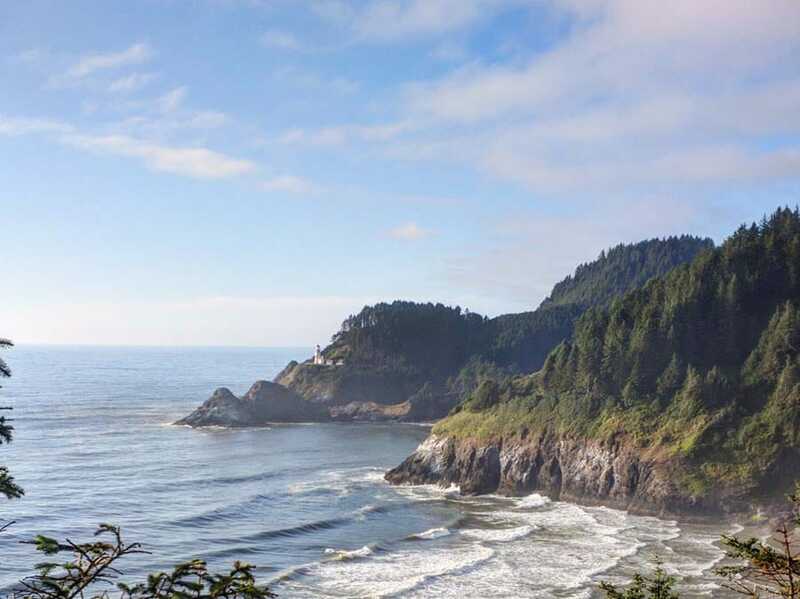 Natural wonders abound as we take you through lush forests past lakes and rivers and along the Oregon coast in these tours. Our Pacific Northwest tours offer more than just nature, from the city of Portland to a variety of museums and shopping opportunities you will experience Native American, the Wild West and contemporary society. Oregon is the end destination of the famous Oregon Trail, a state with deep roots in the gold mining and farming industry. Learn about these settlers as you visit museums and mining locations. Visit wineries and take an Oregon wine tour to taste some of the best the West has to offer. If you are interested in reserving your place on one of these Pacific Northwest tours, or if you just want more information, please contact us! We will be happy to answer your questions. 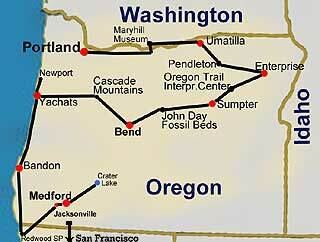 Our Oregon discovery tours offer an exciting schedule with many different included activities. The tours start in Portland, Oregon and end in San Francisco, California. Both cities offer easy international flight connections. Pacific Northwest Tours – Accommodations – Travel Dream West has chosen a selection of unique, charming and comfortable accommodations. The motels you will be staying at are two or three star hotels while some nights will be spent at historical or traditionally western accommodations. Many of our hotels have swimming pools, fitness centers and continental breakfast. If you would like to arrange accommodations for an additional night or two at the start or end of the tour we will be happy to help you with reservations. The Oregon Coast, Cascades, City and Wine Tours image gallery (coming soon) features photography taken along the Oregon tour route. Browse through these photographs to get a visual idea of the various sights and attractions you will see during your vacation. From the Oregon coast to our highest peaks and deepest lakes this gallery offers a colorful interpretation of this wonderful state.